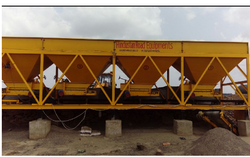 Prominent & Leading Exporter from Ahmedabad, we offer wet mix macadam plant and wet mix plant. Our firm is involved in manufacturing and supplying a huge range of Wet Mix Macadam Plant. We design the given product following industrial standards by making use of best quality material and modern technology. We are the prominent trader and exporter of Wet Mix Plant. This mix plant offers higher production with supreme quality in the mix and minimized production costs. Also, the offered plant is manufactured and designed at our vendors’ end. After the detailed study of the market, our procuring agents make sure to select the best quality product to fulfill diverse requirements of our clients. Besides, this plant can be availed from us at pocket-friendly prices. 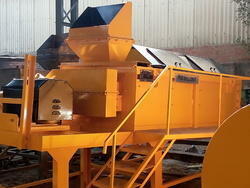 Looking for Wet Mix Plant ?